Looking for good Christmas Instagram Captions? The holidays are here and what more than to cheer, be jolly, love, laugh and enjoy it to the very fullest by also capturing tons of pictures to share on our Instagram especially on Christmas. We all know how excited it will be on Christmas day with all the commotion of the gift opening and family over it can get difficult to grasp the perfect Christmas caption that you will want to add along with your Instagram post. 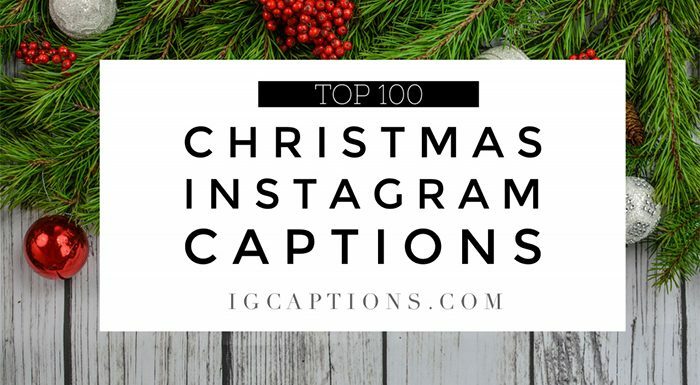 We are more than happy to help with our Top 100 Christmas Instagram Captions. They are exclusively hand-picked lovely, heartwarming, hilarious captions that are ready for you just to copy and add to your holiday Christmas pictures.